Traveling can get expensive, that's a fact. Never mind the flight and the hotels, once you get to your destination, it can cost a lot of money to visit the all the attractions you want to see. Thankfully, you can save money with multi-attraction packages like Go City Card from Smart Destinations. They recently gave A Traveling Life, 5 Things to Eat, and me a 3-attraction Explorer Pass to try out. It was our chance to do all the touristy Boston stuff that we haven't done! 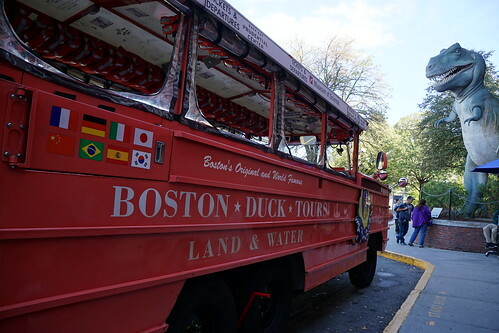 Our first attraction was the Boston Duck Tour. We got on the tour at the Science Museum. 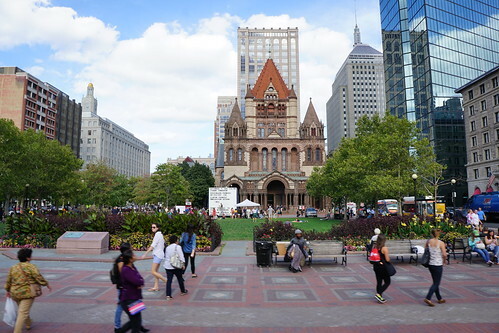 The bus goes to Boston Common area and continues on to Back Bay to Copley Square. 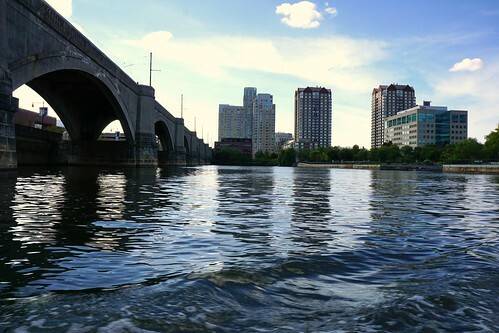 It then heads back to Cambridge and near the Science Museum and enters the Charles River from there. The best part is getting in the water!